I really hope that Meghan Markle gets another chance to spend the night at Cliveden, the historic country house hotel where she is spending the night before her wedding. While the luxury five-star Berkshire hotel with its 376 acres of stunning countryside will be a great haven of calm for her before the madness of the big day itself, as a nervous bride-to-be I’m not sure how much she’ll be able to take in of the hotel itself: its sumptuous rooms, its luxury spa, its fine-dining restaurant and most of all, the atmosphere of history and celebrity which is soaked into the very walls. Throughout my own stay at the rather fabulous Cliveden House Hotel, there was one question which I found almost impossible to answer. Would Cliveden still be as fabulous if it wasn’t, well, Cliveden? Would it seem as special if it were just a very nice 17th century country house in which Winston Churchill and Noel Coward hadn’t stayed, for example? Would its gardens still be as pretty if you weren’t thinking that Lady Astor had strolled these very grounds with George Bernard Shaw and Charlie Chaplin? And would the beautiful outdoor swimming pool in the walled garden still be quite as marvellous to swim in if – well, you get the idea. The thing about Cliveden is that it is almost impossible to judge it on its own merits by separating it from its quite incredible past. The Great Hall with its portraits and grand fireplace is stunning, but it feels even more so because you know that some of the most accomplished people in recent history have discussed art and politics over cocktails exactly where you are sitting. The swimming pool would be a talking point in its own right, but it is particularly amazing to swim in because you know it is where John Profumo met Christine Keeler and precipitated a whole chain of events which scandalised the nation and eventually led to the fall of the Government. Such is the effect of walking into a room at Ockenden Manor Hotel and Spa, a 17th century old country house set in nine acres of land, which has a first-class luxury spa facility neighbouring the hotel. There is always a worry when it comes to revisiting a hotel which you totally adored on the first visit – what if it’s not going to be as good as you remembered it? I know people who won’t go to the same place twice for that very reason, and others who, having found the perfect place, refuse to go anywhere else. Thankfully Cotwolds luxury hotel Whatley Manor was every bit as good as I remembered it to be from my first visit. 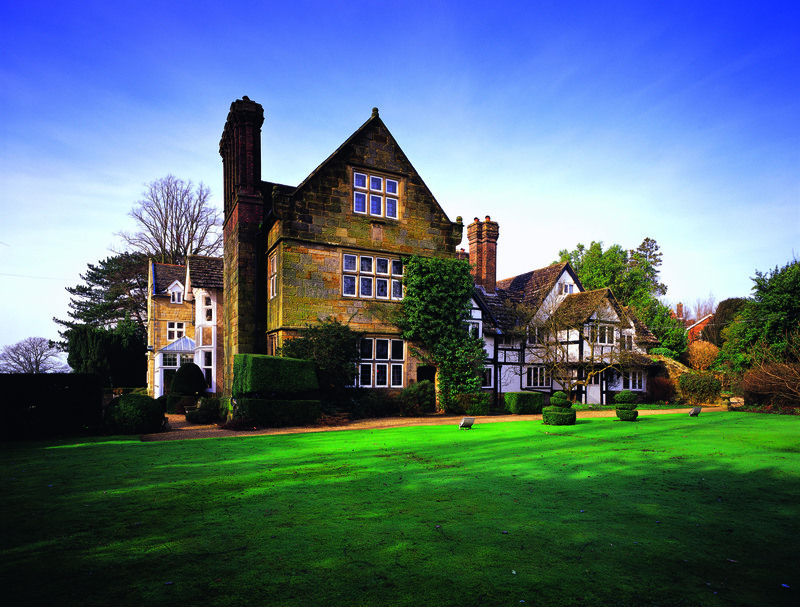 Whatley Manor is certainly not a budget option, but there are few hotels who can offer a luxury spa, private cinema, Michelin-starred restaurant and acres of beautiful gardens, which means a stay here is more than worth it. The drive into the courtyard at Whatley Manor sets the scene for a memorable stay; the large wooden gates sweep open for you as you approach, as if welcoming you in to a secret world. This time I even looked the part, as Vauxhall had kindly lent me a brand new Astra for my jaunt (more details below) which looked much smarter than my bright yellow Fiat. Staff miraculously appeared out of nowhere to welcome us, take our bags and valet-park our car, and a very indulgent stay had begun. General manager Sue Williams has now been at Whatley Manor for just over a year, having previously run the equally grand Cliveden House hotel, and has thankfully resisted any drastic obvious changes (although much work has been going on behind the scenes). There is still a lovely country house feel to the hotel, with its stone floors, mullioned windows, sprawling grounds and little touches here and there, from chess boards set up ready to play, wellies to borrow and cosy sofas dotted all around. I hadn’t meant to embark on an impromptu Champagne cocktail-tasting session just after breakfast, but in keeping with the overall spirit of relaxation and pampering at The Greenway hotel and spa Cheltenham it seemed the right thing to do. It was my first time at the luxury Cotswolds hotel and indeed my first time at any hotel owned by The Eden Hotel Collection (there are eight in total) and I hadn’t a clue what to expect. It was only once I was there that I actually told anyone I was going, and instantly a friend posted on Facebook: ‘Lucky you! I think it’s the best spa in Cheltenham’, which was a promising indication I was in the right place. The signs had been good from the very start. There was an imposing gate and lengthy driveway – the hallmarks of a country house hotel – and the instant we parked two people came out to greet us and help with our bags. The concierge, Chris, checked us in and showed us to our room with the minimum of time and fuss, which meant that, much to my surprise, I was bang on time for my spa appointment. Handily the Elan Spa at Greenway is located inside the hotel, so it’s incredibly convenient, unlike others where a spa visit is a trek to another building (in fact our bedroom was just above the spa). I was feeling rather Christmassy anyway after ambling through Covent Garden with a glass of mulled wine and admiring the Christmas lights, but even the most Bah Humbug of Scrooges would have felt full of festive cheer arriving at the five-star The Royal Horseguards Hotel. The lobby was brimming with decorations, from a massive tree with presents and teddy bears underneath, to Christmas wreaths behind the reception, yet more teddies and presents in a central display and a roaring fire. The 282-room hotel has an incredibly central location, being just across the Thames from the London Eye big wheel (great views for the New Year’s Eve fireworks), next door to Embankment tube station and just a few minute’s walk from Trafalgar Square, the Strand and Leicester Square.